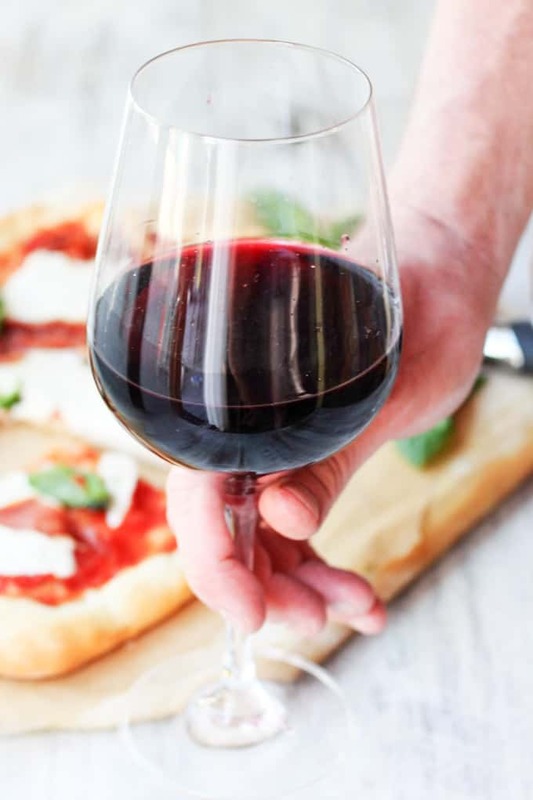 If you’ve ever wondered which wine would go really well with a classic Margherita pizza, I have the surprising answer for you. It’s red, chilled, and bubbly. Intrigued? I have now been living in New York for the past 13 years and, I must admit, this has provided me the opportunity to enjoy the finest Italian dining and wining (yes, that’s now a word). I’m sure this comes as no surprise to some of you, but New York City is a mecca of the highest quality Italian restaurants with the best sommeliers from around the World. I vividly remember my first time in a very fancy Italian pizzeria in NYC. I was dying to bite into this amazing, classic Margherita pizza. When it finally arrived on the table, it looked exactly how I expected: perfect crust, super red tomato sauce, slices of melted fresh mozzarella, and fresh basil leaves. The simplicity of this dish is just astounding. So, what makes it so delicious? The answer is the premium ingredients it uses! In fact, that’s actually what I associate with Italian food and wine for that matter. Speaking of wine…when this Margherita pizza arrived on the table, the sommelier showed up with the chilled bottle of red wine. When he started pouring it into the glasses, I realized that it actually was bubbling (Italians would call it “spumante”). Admittedly I was caught by surprise. I had never seen red, chilled, sparking wine before. He gave me a taste and asked how I liked it. I was blown away. This was quite the introduction to a whole new breed of red wine. I looked at him and asked, “What is it?” He smiled at the prospect of having a newbie and said, “That’s Lambrusco. It pairs beautify with your pizza. I hope you’ll enjoy it!” And enjoy it I did! Ever since then, when summer starts to tease us, I immediately head over to my favorite wine shop, which carries the best quality Italian wines, in order to scratch my need for Lambrusco. With this wine residing in my basement wine rack, I consider myself stocked up for the hot summer days. 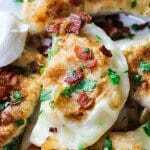 I’ve had the pleasure of visiting Italy a few times in my life, and every time my foot landed there, I immediately prioritized putting a piece of food or a sip of wine into my mouth. The quality always astounds me. In my opinion, a product with the label “Made in Italy” literally translates to the highest quality ingredients. The same can be said about wine. I simply adore Italian wines…..from Chiantis and Sangiovese-based wines or Barollos to my Proseccos and Lambruscos. I simply love them all! Regardless which wine “Made in Italy” you have the pleasure of enjoying, all share the same signature of amazing quality and taste. I’m convinced that they can satisfy even the most sophisticated wine connoisseurs. And whenever I find myself sipping on an Italian wine, I feel like I’m immediately transported into the vineyards of Italy. Here, the highest quality ingredients are found in abundance, and the ‘la dolce vita’ (or, ‘the sweet life’) lifestyle is a birthright. Just watch this video about wines of Italy and you’ll understand what I am talking about. You can learn more here. Admittedly, the Italian food/vino/lifestyle are enchanting and is why I often find myself trying to replicate it in my own kitchen. I make pizza with the highest quality ingredients and the most amazing Lambrusco from the Emilia-Romana region of Italy. You may be wondering what is this wine that I keep mentioning. Some may remember Lambrusco as a sweet and cheap wine that used to be a party favorite. Unfortunately, the name got a bit of a bad reputation a while ago. Reason being is that back in the ‘70s & ‘80s the market got flooded with low-budget, industrially made, varietals of this Italian classic. Today’s quality Lambrusco is truly remarkable, and totally distinct from those you may remember from the 80s. It is lively and fruity with hints of cherry, blackberry, rhubarb, and plum. It is then balanced with a slightly dry acidity that adds the perfect punch. Lambrusco comes from the Emilia-Romagna region of Italy and is made from grapes of the same name. There are actually few varieties of grapes grouped under the Lambrusco category – all of which have subtle distinctions. What types of Lambrusco can be found in wine stores? The Lambrusco styles vary and include dry (secco), sweet (dolce), and off-dry (semisecco, abboccato or amabile) wines that are almost always made in a semi-sparkling style. A lot of them are also affordable. Typically though, your memorable bottles will start north of about $15/bottle. 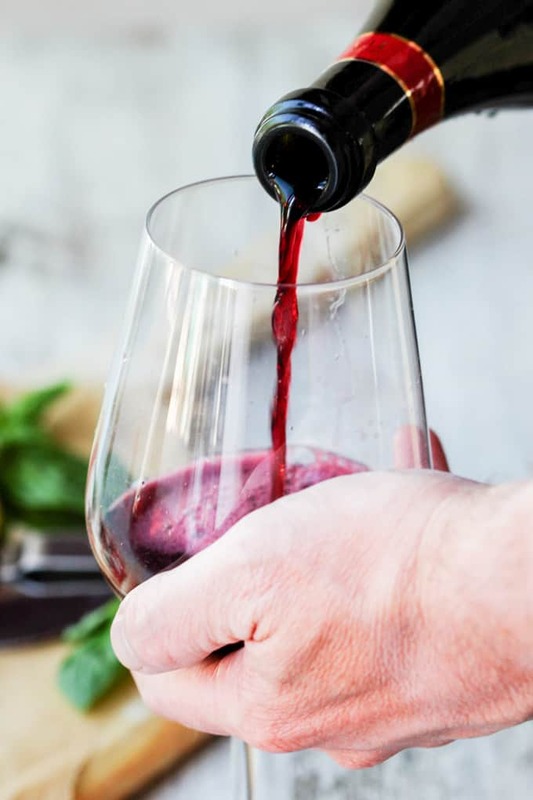 Lambrusco Salamino – this type of wine is like a combination of Lamrbusco di Sorbara with its aromatic and bold flavor, and the deep color of Lambrusco Grasparossa. There are a number of different methods to making Lambrusco. However, there is but one method that is true to its heritage and authenticity: It is called Metodo Ancestrale. The wines are fermented in a tank to about 10% alcohol, then bottled and left to finish the fermentation process in the bottle. This adds another percentage or 2 of alcohol. The wine can then be filtered or left cloudy. Some producers still use the Metodo Classico method, also known as Champagne method, which gives the wine a more polished finish. Frankly, I don’t think you’ll find this information on wine labels, but in case you come across it somewhere and were wondering what it means, I decided to give you a little bit of information. Why does Lambrusco pair so well with pizza? 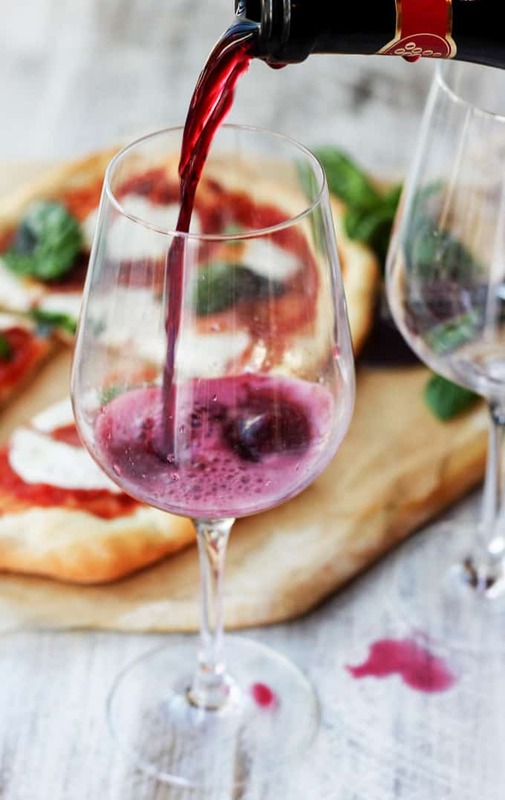 Lambrusco is the ultimate wine to pair with pizza. 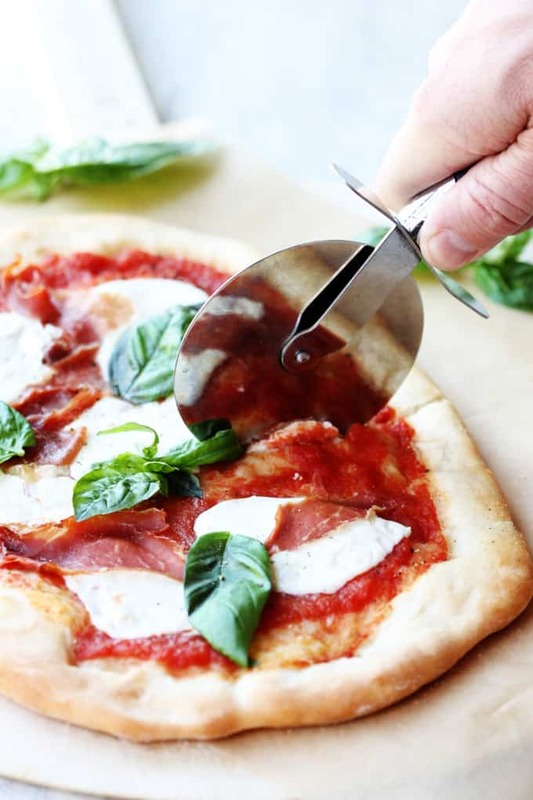 The bubbles contrast the dough, the acidity complements the tomato sauce, and the fruitiness balances the cheese. This is why I was so astounded when I was first served Lambrusco with Margherita pizza many years ago. It just works like magic. 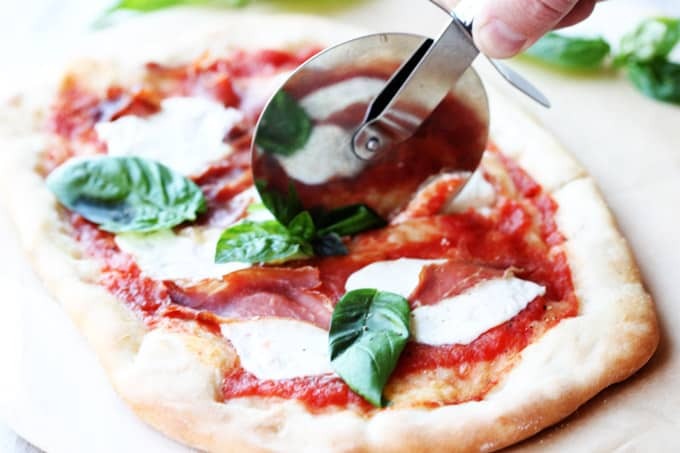 I often enjoy making Margherita pizza often in my house (especially with my son), and we (the adults) love enjoying it with a glass of chilled Lambrusco on our patio. Next time you want to fancy up your pizza night, be sure to pick up a bottle of good quality Lambrusco. 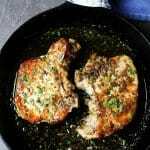 Chill it, and serve it with your homemade Margherita pizza. 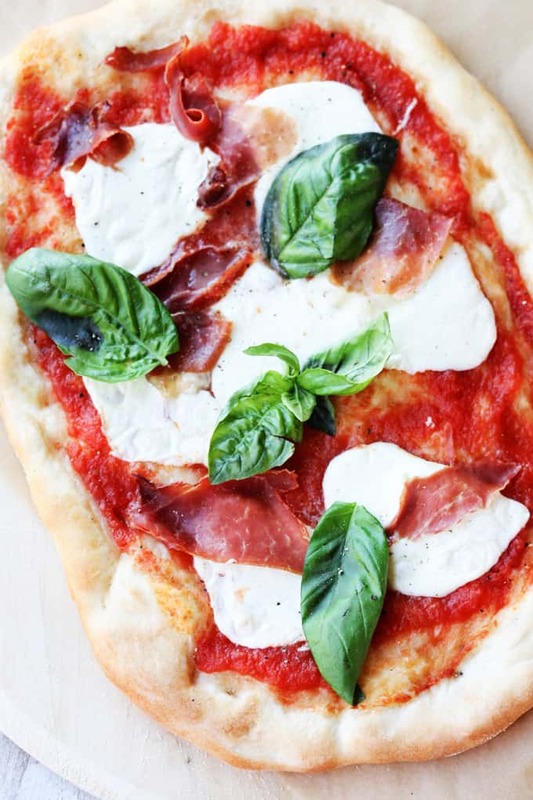 To take this Margherita Pizza to yet another level, add some torn Prosciutto di Parma, you’ll find that it will complement the Lambrusco even further. After all, they are coming from the same region of Italy! 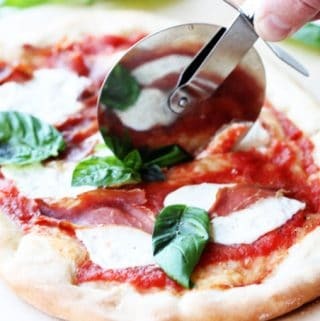 Here’s my favorite pizza Margherita recipe. Enjoy! 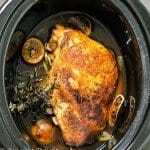 Shape each piece into a bowl, cover them with kitchen towel and let rest for 10 more minutes. Repeat the process with the second ball. I don’t know very much about wine, but I know that it goes well with pizza. It’s pizza and wine night here tonight. We just got a pizza oven (so we’ve been eating a LOT of pizza haha) so this post was perfect! Thank you for sharing! I am Canadian, and I have had Canadian red sparkling wine before and loved it. Lambrusco sounds amazing! 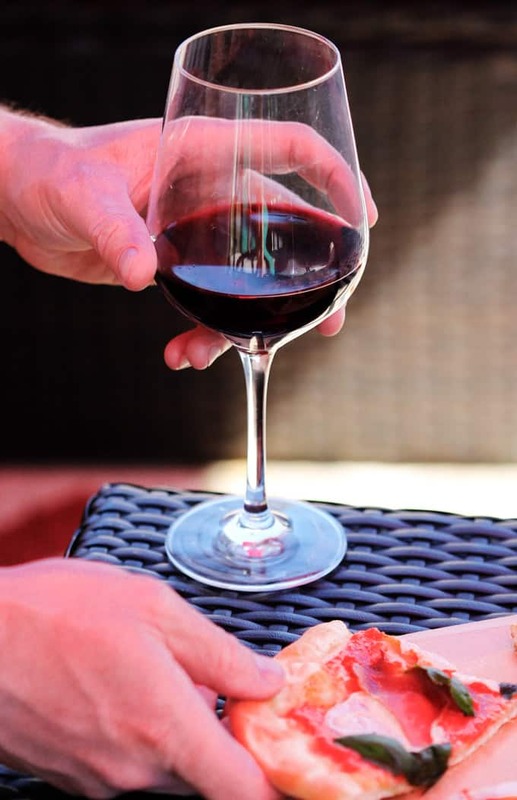 I am going to have to keep an eye out for it – any wine that pairs well with pizza is one that I want to try! I am always in search of spicing up my wine choices, but always holds me back is having no idea what I’m looking for. This wine sounds terrific and like it would be great with pizza and just about everything else too! I appreciate the level of detail you put into this post! I’m actually going to the region lambrusco comes from in just a few days, so very helpful to have a few extra tips before we go! And you can never go wrong with a good, homemade pizza. I was curious what the Lambrusco is that you buy at your wine store? I love Lambrusco and I am always looking try different ones! Also what is the name of your wine store?